The University of Twente offers several degrees on topics ranging from natural sciences to engineering and management science, and human behavior programs. Our approach to new technologies is not done in isolation, but closely with social behavior, and management sciences, combining latest technology with human touch (High Tech Human Touch). Our students are given the opportunity to overcome the current academic barriers and combine technological and social disciplines thereby creating creative solutions to several problems. As a university leading international research, the University of Twente offers an academic environment for the brightest and most talented minds in the world. Our commitment is to unite social sciences with engineering education and research whilst keeping a high bar on quality. An academic year usually begins in September and ends in July. There are some courses that begin in February too. The university is located in the Netherlands, Europe, at the heart of the imaginary triangle between the three major European cities: Paris, London and Berlin. 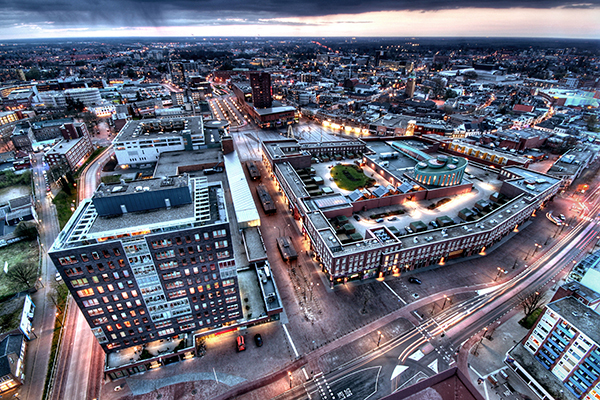 Amsterdam is only two hours away and trains depart every hour from Enschede, the city where the university is located. The University of Twente rises in ranking every year according to the top three ranking systems. The University of Twente is a research university. Research universities offer programs primarily oriented in research in an academic setting. The universities of applied sciences, however, offer programs with a focus on practical applications of art and science. In general, these universities are more practically oriented than programs offered by research universities and prepare students for specific professions.